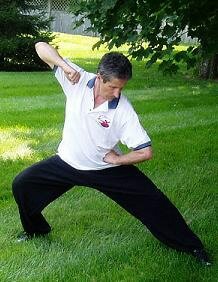 Shifu Bob Shannon is the Aiping Tai Chi Center's head instructor for Chen style tai chi and tai chi applications. Shifu Bob has been studying Chen style tai chi with Grandmaster Aiping Cheng since 1998. He first became interested in Chinese Martial Arts 30 years ago when he studied Hung Gar and Choy Li Fut in Stamford, CT. After five years of training, he took a break, yielding to the priorities of family and career. In 1997, Shifu Bob found he had time to pursue his interest again but did not want the hard, external arts he once studied. Rather, his renewed interest focused on the internal art of tai chi. His practice resumed in a weekly Yang style tai chi class at Milford Hospital. But in October 1998, Shifu Bob attended a public demonstration by Grandmaster Cheng and saw her perform Chen style tai chi. It was then that he decided Chen style tai chi would be his primary interest and began studying under Grandmaster Cheng. 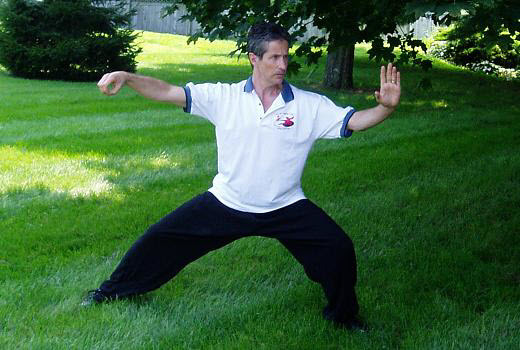 Shifu Bob focuses on the traditional, old-style of Chen style tai chi called Laojia. He is experienced with Chen Zhenglei's 18 Form, Laojia Yilu, and Laojia Erlu. He also knows the Chen straightsword form, broadsword, and double broadsword. Additionally, Shifu Bob has trained in the modern Chen competition form (56 Form). 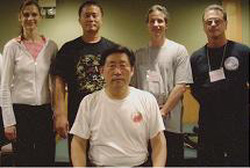 To supplement his training, Shifu Bob attends workshops with Chen style tai chi masters such as Chen Zhenglei and Chen Xiaowang. He is also a fan of Tui Shou (push hands) and is always eager to train with new people. In addition to Chen style tai chi, Shifu Bob learned Xingyiquan under Grandmaster Cheng and has completed the five elements, five element two person set, twelve animals, and the twelve animal forms (Synthesize and Comprehensive).